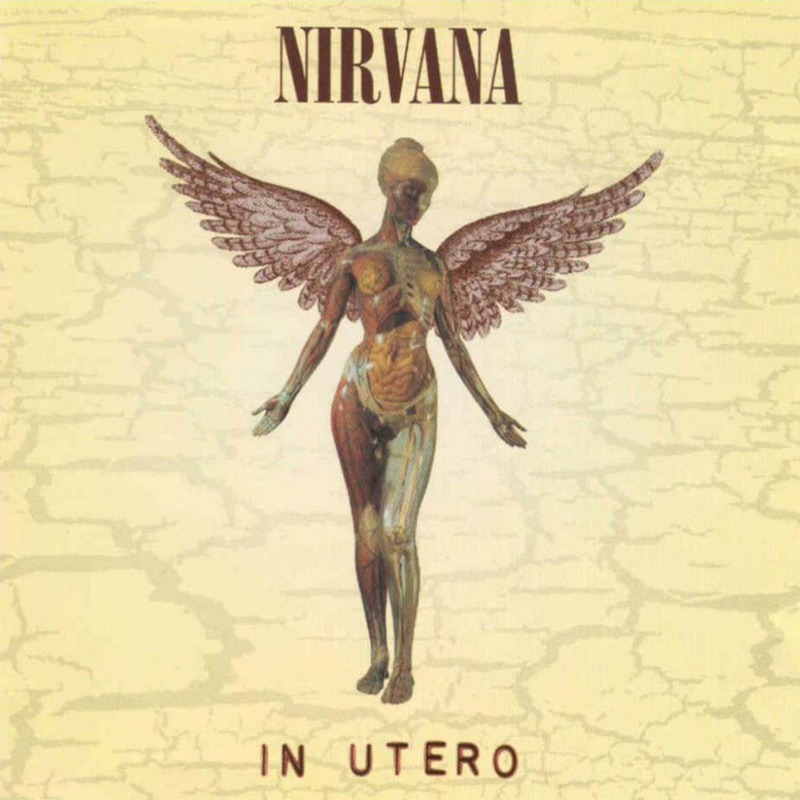 In Utero is the third and final studio album by the legendary grunge band Nirvana. Preceding 1991’s iconic Nevermind, In Utero is almost a statement to the state of grunge music then and now. Nevermind opened so many doors for the underground punk scene happening in Seattle at that time, and it’s success prompted the style and music to leak out into the mainstream media. All of a sudden ripped jeans and old flannels became appearing on the runways at major fashion shows and everybody was listening to this new and exciting rock music, from the burned out skater kids to the snobby rich kids who got everything they wanted. This posed a major problem for the music and the attitude surrounding it. The whole point of punk music is to appeal to the kids who thought and acted a little differently and took a whole different perspective on life, the media, and the rules. In the track Serve The Servants, Kurt Cobain opens with “teenage angst has paid off well/now I’m bored and old,” explaining how he got his message across, but how that message got old and tired fast. In a way, the entire album is a tribute to the great run they had. In the track Dumb Cobain writes; “the day is done/but I’m having fun.” Just two years after the beginning of this major hype, the godfather of grunge declares the entire genre dead. Some wonder if it was a last contribution for Cobain and his life, others believe the setup for when Nirvanas MTV Unplugged show was arranged as a premature funeral, but those theories should remain just that, theories. Undoubtedly a great amount of personal pain and revelation went into the making of In Utero, but in the end it was simply an album, and nothing else. One of the coolest things about the album is every day brings a new favorite song. One minute Pennyroyal Tea will be the only song you want to listen to for the rest of your life, and the next Frances Farmer Will Have Her Revenge on Seattle, is your jam. Possibly cited as the fans favorite Nirvana album, most believe also that, to a certain extent they really are all incomparable. 1989’s Bleach brings out that raw punk edge while Nevermind focuses more on almost Pixie-like simplistic choruses, such as from I’m on a Plain (I’m on a plain/I can’t complain.) I feel that In Utero is more about the sheer poetry of the lyrics. Heart Shaped Box, for example, taken from a poem originally entitled Heart Shaped Coffin written during one of Kurt Cobain and then-girlfriend Courtney Love’s hotel rendezvous, has some insane lines like; “I wish I could eat your cancer when/you turn black.” An important part of musical history, the album is necessary for any music fan, no matter what you listen to. It is a beautiful thing when music can cross the boundaries of genres and effect lives across the spectrum, not just the simple grunge-rocker. Just seven months after the album was released, on April 5th, 1994, Kurt Cobain was found dead of a self- inflicted gunshot wound to the head. Some people like to think of how tragic that was, but what about the genius he created in his life? What a beautiful piece of art to go out with.